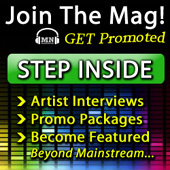 Want to be featured in our top ranked magazine? Be reviewed by one of our writers now to help push any new single, video or album you may have. For the next 48 hours, take $5 off the typical price!